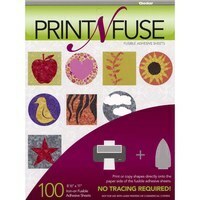 Print n' Fuse sheets are designed to save you time. Easily print images directly from your inkjet printer (not for use with laser printers) and fuse them to your t-shirts, quilts, or other projects with a household iron. 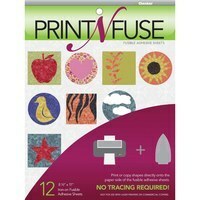 Each pack contains 25 sheets measuring 8-1/2in by 11in.